Heaven Can Wait Blackberry | Henry Field's Seed & Nursery Co.
You will think that you're in heaven when eating these delicious sun-ripened berries. Starting in mid June you will enjoy an extended harvest of these tasty fruit, and with the health benefits these berries deliver, heaven really can wait. The fruit is packed full of vitamins, fiber and tested highest in lab measures for health-promoting antioxidants. 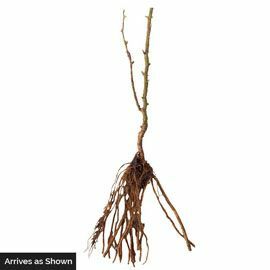 The thornless, self-supporting canes grow to a manageable height of 4 ft. Zones 5-8. PPAF. 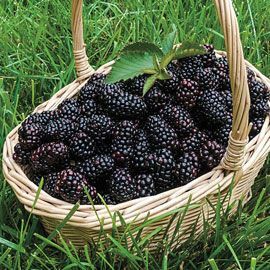 Soil Requirements: Blackberry plants grow best in a well-drained, fertile, slightly acidic, loam soil with moderate water-holding capacity. Best blackberries ever. No hard/chewy core down the middle. Melts in your mouth, juicy, and sweet.